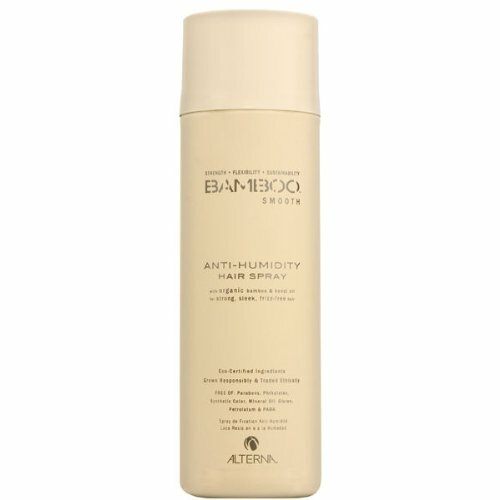 Alterna’s Bamboo Smoothing Anti-Humidity Hairspray protects the hair against humid conditions because it locks out frizz with each and every weightless spritz. Formulated with organic bamboo extract and smoothing organic kendi oil, this ultra-dry product retains color with Color Hold technology and offers a flexible hold without being sticky or stiff. Special Shipping Information: This product might not be to be had for 1 or 2 day shipping because of federal regulations that require it to ship by the use of ground ship methods handiest. This product can handiest be shipped throughout the 48 contiguous states.